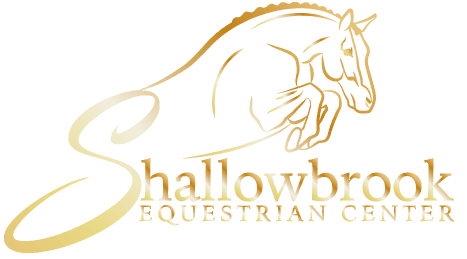 Grace has been a student of Shallowbrook since 2014 and joined the staff as a Riding Instructor in 2019. Grace began riding when she was around 5 years old. She started off learning the basics of English riding at a well-known hunter/jumper facility in Western Massachusetts. She then made her way into riding Arabian horses and gaited horses. It was there that she met her first love, an off the track Standardbred gelding named Sandy. Getting to help bring Sandy along and transform him into being a riding horse was when Grace developed her interest in working with and restarting “green” horses. Grace joined the Shallowbrook IEA team as a freshman in high school during the team’s debut year in 2014. Upon joining IEA she decided to buckle down in the hunter/jumper and equitation world. She competed in IEA throughout high school with multiple trips to regionals, and ended her IEA career with a top 3 at zones her senior year. Grace has also successfully competed at various horse shows throughout her career, on whatever horse she had the opportunity to ride. Grace hopes to share her love of horses and riding with all of her students. She enjoys helping riders meet their goals and make progress in the sport. You can often find Grace at the barn working with the school horses, training, or working with her 2015 off the track thoroughbred mare Marli.